We are proud to offer a more comfortable, accessible and environmentally friendly transport experience via our current fleet upgrade project, which will see 100 new buses being built to replace older models. This once in a generation bus upgrade and modernisation program was made possible through the State Government’s commitment to provide $31 million over four years, in the single largest public transport investment in Tasmania’s history. In addition to benefitting the travelling public, the project has opened doors to new advanced manufacturing job opportunities in the North West. Over 40 new jobs have been created, including 26 at Elphinstone alone, and around 12 Tasmanian providers are involved in the build supply chain. In addition to Elphinstone’s involvement, the project includes approximately 35% Tasmanian content and we are proud to provide the sector an opportunity to demonstrate their skills and create new roles. 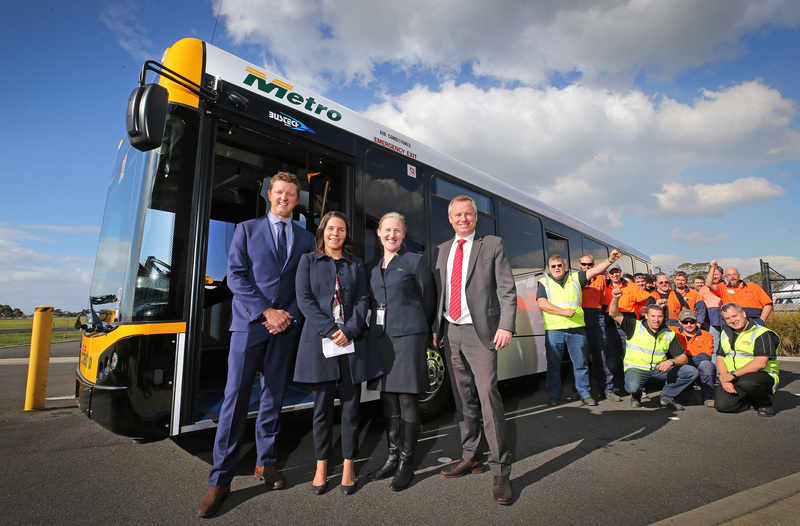 The first of the 100 new buses arrived in November 2017, with the first fully Tasmanian built bus rolling off the Wynyard production line in April 2018. Every new vehicle is air conditioned and, importantly, low floor, which will ensure we can operate 100 per cent of our services with a wheelchair accessible bus by 2022, as required by the Disability Discrimination Act. Our current fleet is the oldest in Australia, which means our buses require maintenance more frequently and are time consuming and expensive to repair. By lowering the average age of our fleet to be in line with other capital city operators, we will see substantially improved reliability, reduced ongoing maintenance costs and lower emissions. The new buses operate on Euro 6 standard diesel engines, which are the lowest emitting diesel engines available. They emit 94% less nitrogen oxide and 96% less particulate matter emissions than the buses they are replacing. 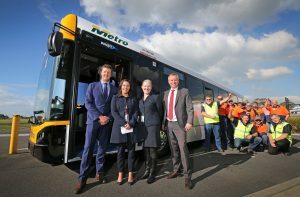 As the state’s largest public transport provider, we are very excited that our 100 new buses are built in Tasmania, by Tasmanians, for Tasmanians. We look forward to welcoming more passengers on board as buses continue to enter service at a rate of around three per month.